I love Pinterest. Can I get a holla, amen, ditto, right back at ya from anyone? I’m constantly on Pinterest to get new ideas, recipes, and inspiration! Well, here at college I am gearing up towards my finals week. What that means are papers, exams, presentations, and something I can make so I can procrastinate. 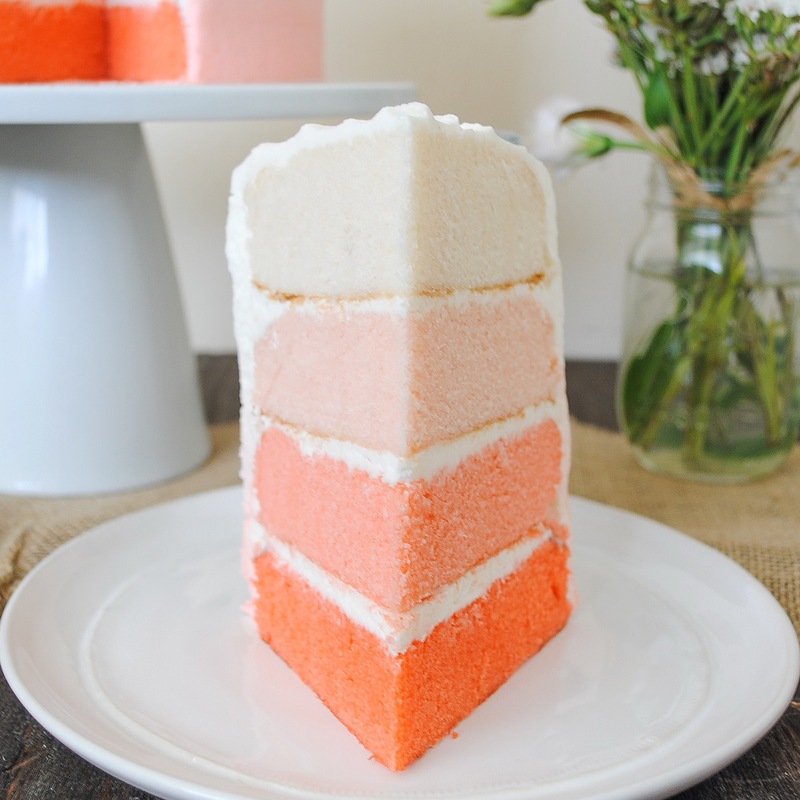 And thanks to Pinterest, I have decided that my form of procrastination falls to a vanilla ombré cake. The method of making this vanilla cake is slightly different than the other cakes I’ve made in the past. 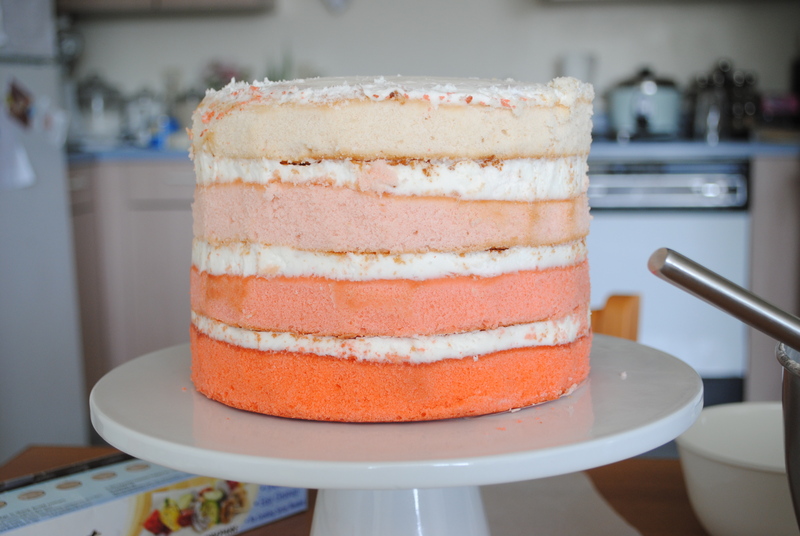 As I wanted to make a four layer cake, I decided to double the recipe of this one. I normally don’t advise doubling a recipe you have never tried before, but I just went for it. I got lucky, and came out with this cake! 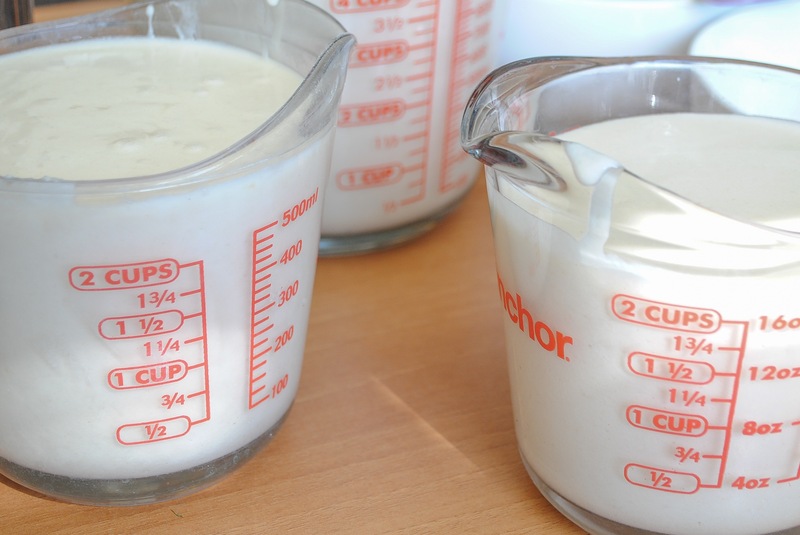 First, combine the egg whites, 1/2 of the milk, and vanilla and whisk together until smooth. 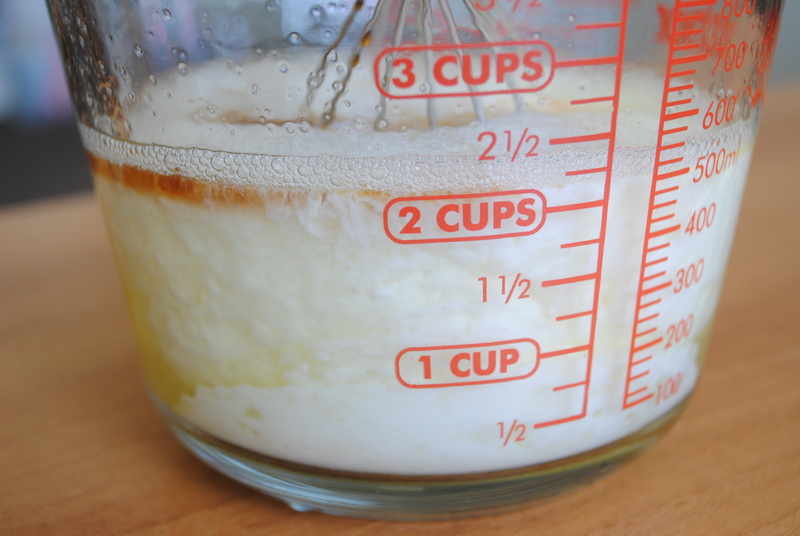 If you are not doubling the recipe, you would only combine 1/4 c of the milk. I had it doubled which is why it is 1/2 cup. Set aside. 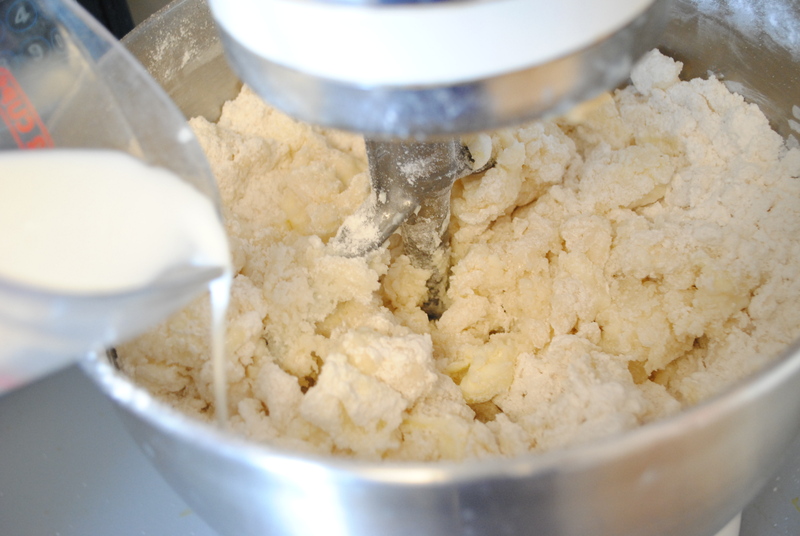 In the mixing bowl of a stand mixer, sift the flour, sugar, baking powder, and salt together. Add the butter and remaining amount of the milk and mix until combined. The mixture may look lumpy and bumpy and that is okay! Keep mixing until everything is evenly beaten through. Scrape the sides of the bowl and on low speed, slowly drizzle the egg white mixture into the batter. Stop the mixer often so you can scrape down the sides of the bowl. 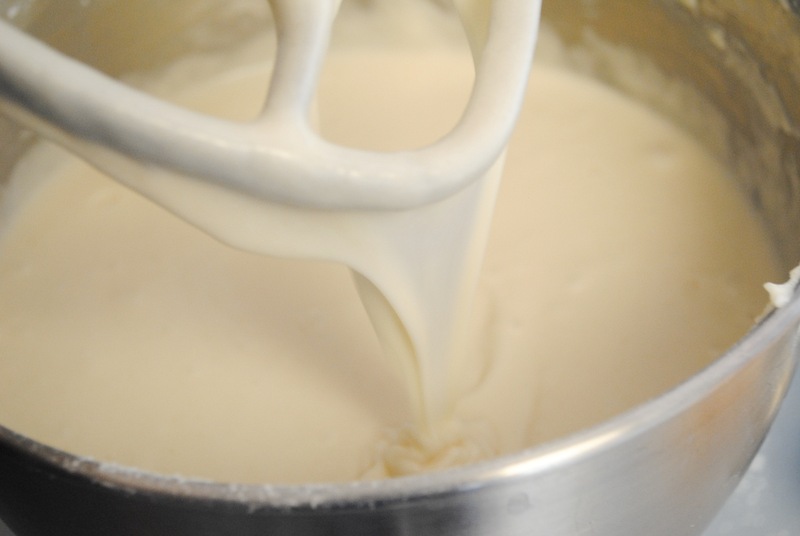 At this step, the batter will thin out and become smooth and even. This is what the finished cake batter will look like. To make sure each cake layer receives the same amount of batter, I measured it all out. It gave slightly more than 8 cups, making it to be 2 cups of batter per layer. If you are not making an ombré, pour into baking pans to bake. 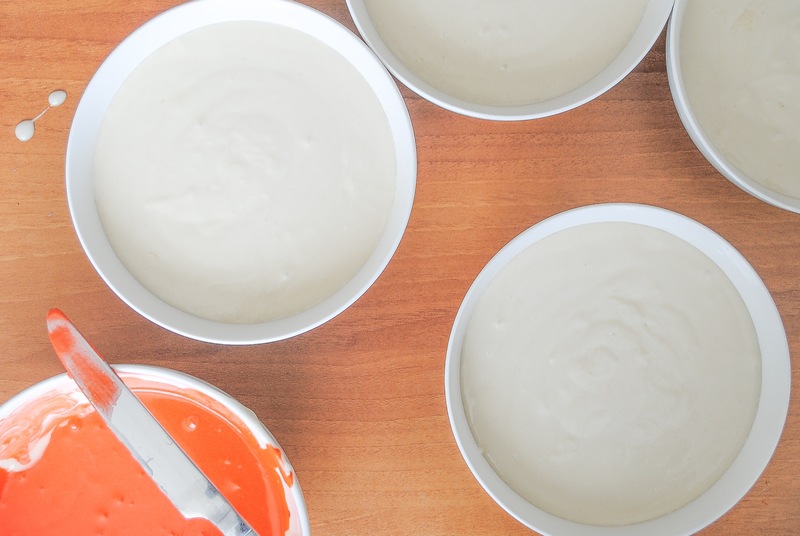 If you are going to ombré color your cakes, pour the batter into medium sized bowls. Select a color you want your cake to be. I am using a mix of Wilton’s Creamy Peach and a slight dab of the Violet and the colors are beautiful! Make sure you use gel coloring so you do not water down the batter with food coloring. Once you pour two cups of batter into four cups, pour the remaining batter (should be around 1 cup) into a fifth bowl. This is where you will mix the “control” coloring to make sure all the other layers are of the same shade. Make sure your control is a much darker shade than the darkest layer color you want. It is okay if you put too much, as I did here. It will be thinned out later. Here below I have the control batter ready to be mixed into the other bowls. As I said before, it is a lot darker than the actual color I want my layers to be, but it is okay as the color will be diluted in. The next step is simply playing with the batter and personal preference. 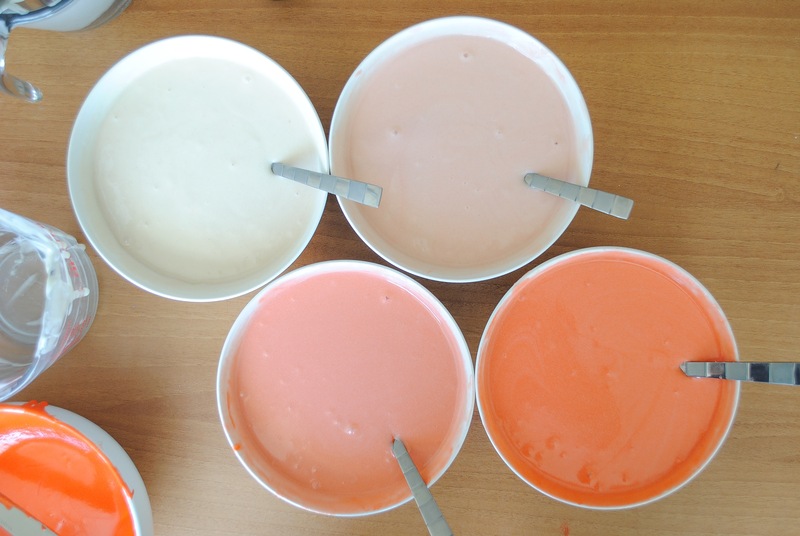 Start with just an extremely small amount of control batter and mix it in until you have reached the desired shade. The darker you want it, the more you will add from the control batter. I wanted to make sure they were all in the same color tone so I added a small amount to the white, making it a creamier white instead of a…well, plain white. Bake until an inserted toothpick comes out clean. Once cool enough to touch, remove from the tins, wrap in saran wrap, and freeze. ***The next day. *** Once you are ready to use it, make the buttercream (recipe also below) and have it ready. Unwrap the cake layers and begin to construct the cake, alternating cake layer and buttercream. After that was done, I didn’t like that there was almost a “crust” around the outside to the cake and so I went through it with a serrated knife and trimmed off the outside, revealing a smooth, beautiful inside! Now it’s really starting to look like an ombré cake! 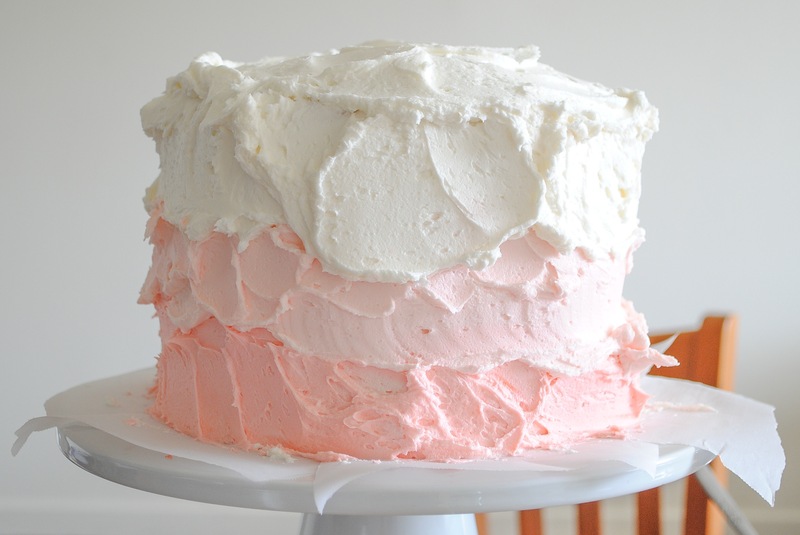 Once that is done, apply a thin layer of buttercream around the cake. This is called a crumb coat and does not have to be perfect. It simply seals in the crumbs so none is seen on the final layer. Set it in the fridge to slightly harden. While that is chilling, ombré the frosting. Separate the frosting into three bowls– dark, middle, and light. 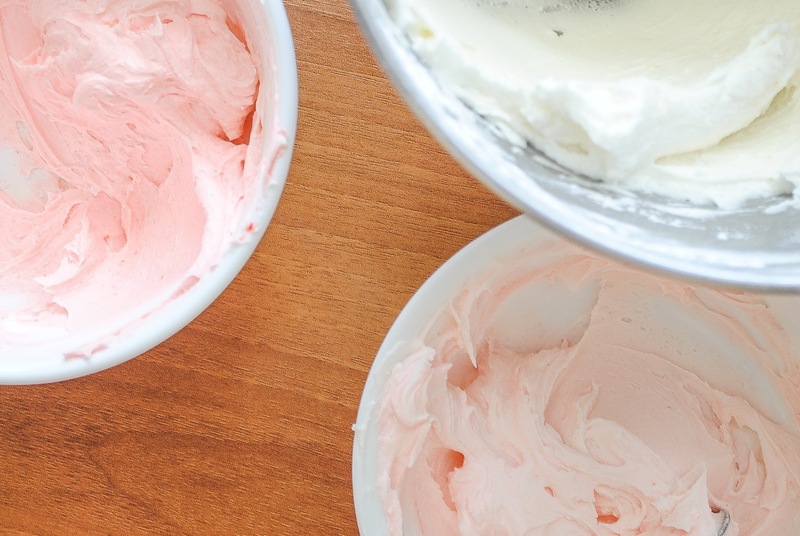 It is better to have the least amount of frosting for the darkest color and the most for the lightest. This way, you can always add color if needed but you can never take out once done. Also, you only need the colored icings for the sides while the lightest color is needed for the sides and top. Instead of making a separate bowl as the control frosting, I simply made the darkest layer the control. When you get the desired shade, take a spoonful and mix it into the middle shade bowl. And for the lightest, I decided to keep it white. Once the cake has chilled, take it out and apply the frosting, starting with the darkest color on the bottom. Go all the way around before going onto the next color. 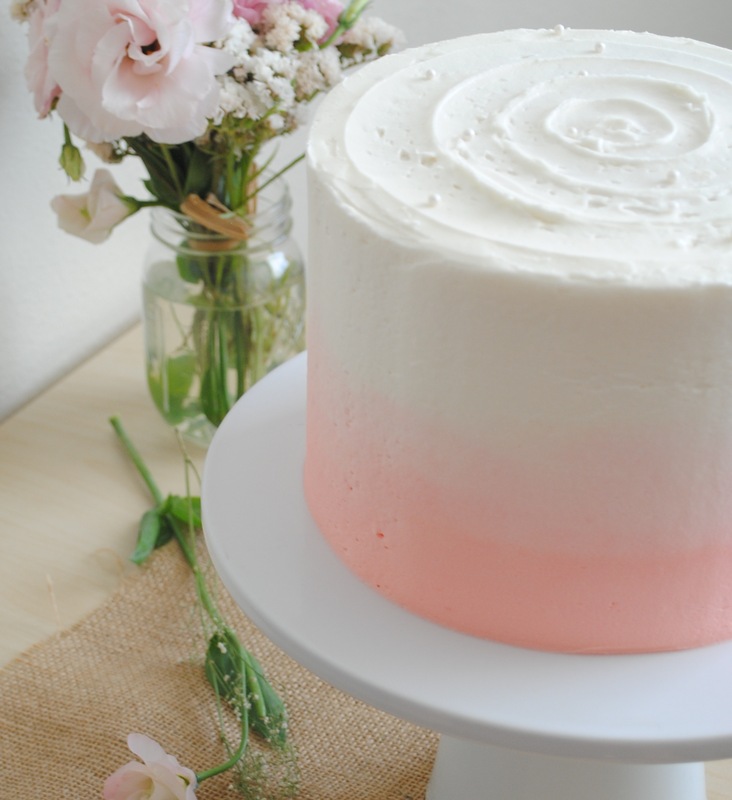 It does not have to be smooth, you just want frosting to be completely covering the cake. You want to make sure to put more frosting on than actually needed because it’s easier to remove frosting than it is to add later. Once it is completely wrapped around, it is time to smooth it out! 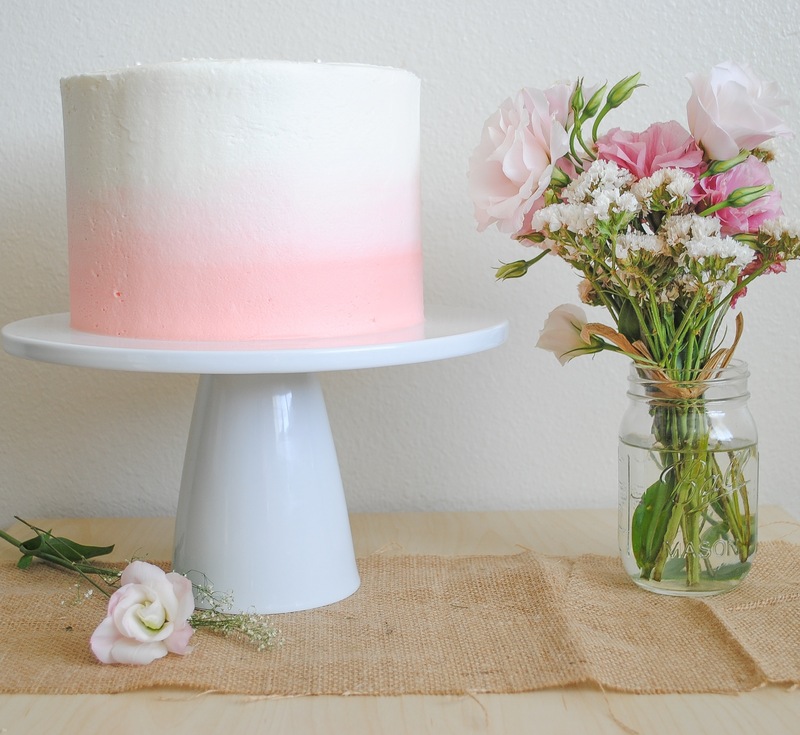 To do this, I used a bench scraper and held it parallel to the cake. As you are slowly turning the cake stand, gently press the bench scrape a little bit at a time into the frosting. 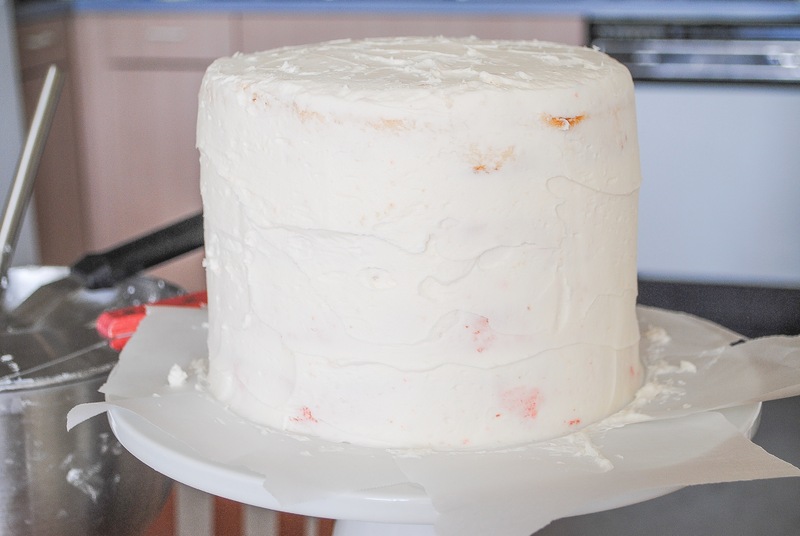 Make your way around the cake, then gently press in a little more until your cake is completely smooth all around. If there are some holes, you can add a little more frosting and smooth it out. 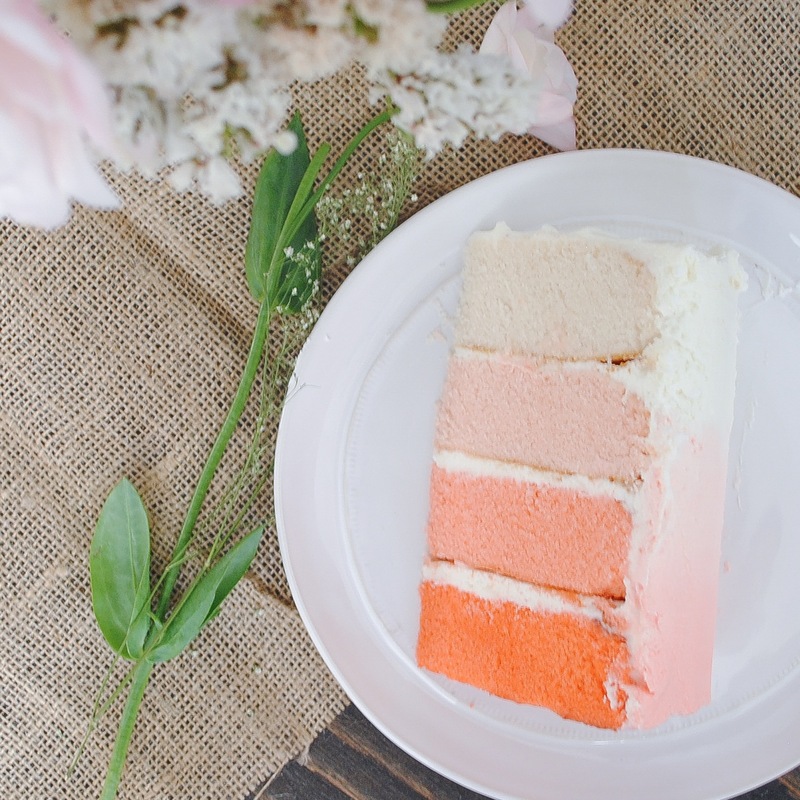 With that, you have yourself a beautiful ombré cake! Lots of steps but so worth it!! 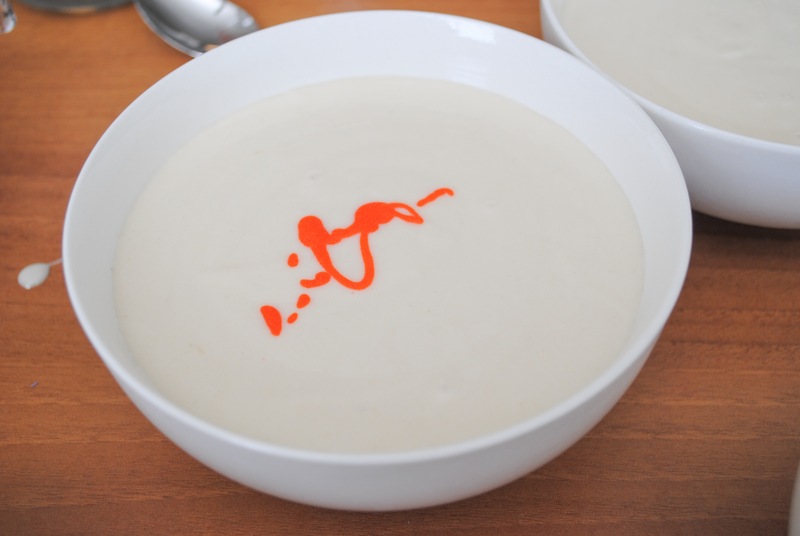 In a medium bowl or measuring cup, combine and stir the egg whites, 1/4 cup of milk, and the vanilla. Set aside. 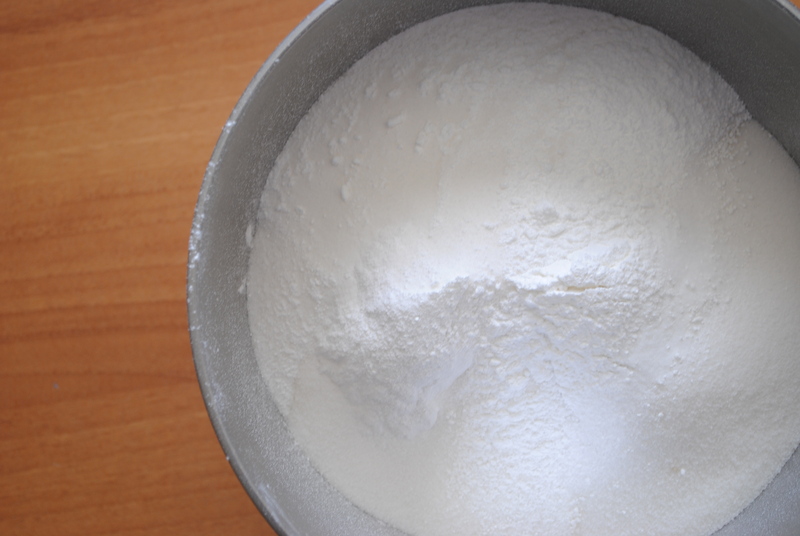 In the bowl of an electric mixer fitted with the paddle attachment, sift the dry ingredients together. Add the butter and remaining 1/2 cup of milk, and mix on low speed until just moistened. Increase to medium speed and mix for 1 1/2 minutes. Scrape the sides of the bowl and begin to drizzle in the egg mixture until smooth and silky. Divide the batter in two and bake for 25-35 minutes. Be careful to not over bake. Let cool on racks for 10 minutes before loosening the sides with a small metal spatula. Gently turn the cakes out and allow to cool completely. Cream together the butter and shortening. On low speed, slowly add the powdered sugar until incorporated. Increase speed to medium and whip until creamy. If it is too thick, add some melted butter. If too thin, add more powdered sugar. Do you know how amazing these look. The ombre effect has come out so well.